Deciding what the best tree is for you, depends upon what you want the tree to do: produce flowers or fruit, be colorful, grow fast, or provide shade. 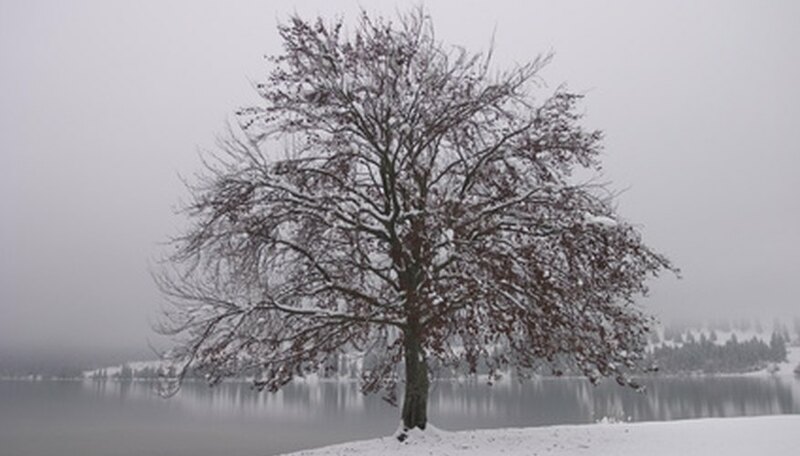 Trees grown in USDA Zone 4 must be able to survive harsh winters and temperatures that sink down to -30 degrees Fahrenheit. Maples are a diverse group known for their brilliant fall color. They all prefer full sun, but some are tolerant of partial shade. Young maples are prone to late winter sunscald injury in Zone 4 and should have their trunks wrapped in the fall until their bark is thick and corky. All maples prefer full sun, but are tolerant of partial shade. Amur Maples (Acer ginnala) are fast-growing trees that can reach 20 to 25 feet tall and have a fall color of red, orange or yellow. They are tolerant of most soil conditions. 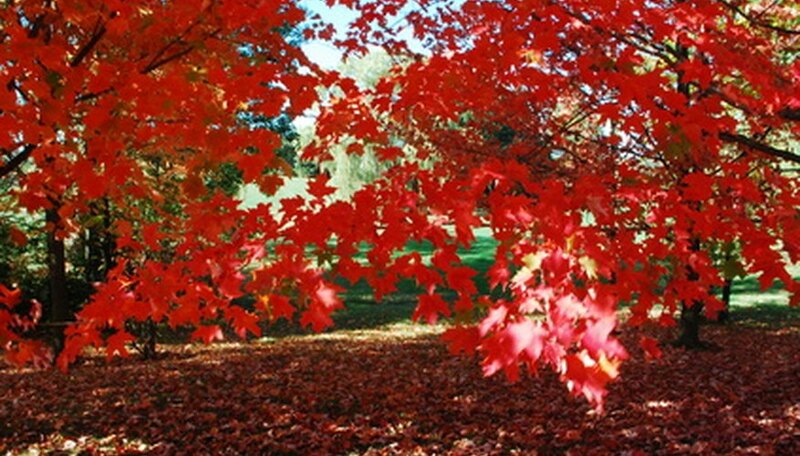 Red Maple (Acer rubrum) is a symmetrical tree that can reach heights of 50 feet and needs an acidic soil. In April, they produce small red flowers. Fall color is usually red, but may be orange or yellow. Make sure you choose a variety that was started from a northern seed source. For a tall tree, Silver Maple (Acer saccharinum) is a fast-growing variety that can reach 80 feet. However, it does have brittle wood that can break in ice and wind storms and produces a heavy seed crop which can create a mess. Sugar Maple (Acer saccharum) is a round-headed tree that reaches 60 to 75 feet at a moderate to slow pace when planted in rich, moist soil. Its bright green leaves turn yellow, burnt orange or scarlet in the fall. Spruce trees are evergreen trees that can be a good choice for Zone 4 if planted in full sun. 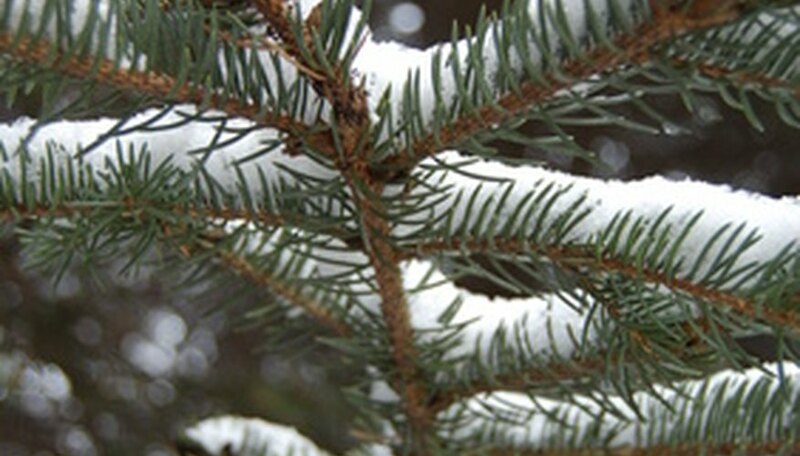 Norway Spruce (Picea abies) is a fast-growing evergreen that will reach a height of 60 feet. It is an ideal windbreaker that also provides shelter for a variety of wildlife. Black Hills Spruce (Picea glauca var. densata) has a conical form that is dense, compact and requires little pruning. It will reach a height of 30 to 60 feet. It is slow growing and has needles that are bright green to bluish in color. Colorado Blue Spruce (Picea pungens) is a popular evergreen due to its silver blue-green color. Unfortunately, it does not always do well in Zone 4. According to the University of Minnesota, after about 20 years it tends to suffer from Rhizosphaera needle cast and Cytospora canker. Poplars are good choice because they grow rapidly and adapt to a wide range of growing conditions. Unfortunately, they are also subject to fungus cankers and have a shallow, competitive root system. Most grow about 40 feet tall, with the exception of the Yellow Poplar, which can reach 70 to 90 feet. Lombardy Poplars (Populus nigra 'Italica') have shiny green leaves but can be prone to partial diaback after a few years. The Trembling or Quaking Aspen (Populus tremuloides) has greenish-white bark and leaves that quiver and turn bright yellow in the fall. White Poplars (Populus alba) have grayish-white bark. The bottom of its leaves are covered with silvery-white hairs. Japanese Poplar (Populus maximowiczii) has an attractive light green bark, but is susceptible to some canker. Yellow Poplars (Liriodendron tulipifera) produce tulip-shaped flowers in the spring and turn golden yellow in the fall. As odd as it might seem, a wide variety of fruit trees that can be grown in Zone 4. The most famous is the apple tree. However, there are others including cherry, apricot and plum. 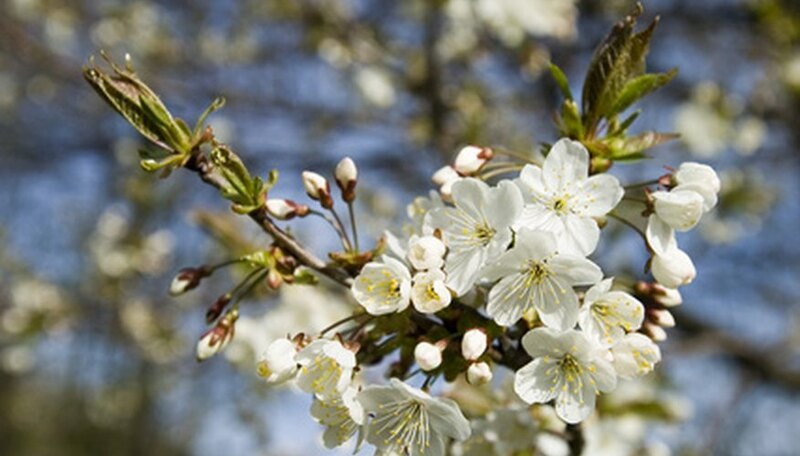 Amur Cherry (Prunus maackii) is a small tree that can reach a height of 30 feet and has reddish-brown bark. The Black Cherry (Prunus serotina) is taller (50 feet tall) and produces a good quality wood and a black-colored cherry. The Chokecherry (Prunus virginiana) only reaches a height of 15 feet and has white flowers that produce a black cherry at maturity. They are also good for windbreaks. The European Bird Cherry (Prunus padus) is similar to the chokecherry but about 10 feet taller. It is susceptible to a fungus known as black knot. The Manchurian Apricot (Prunus armeniaca mandshurica) is a hardy tree that can reach a height of 25 feet when planted in a well-draining soil in full sun. The Wild Plum (Prunus Americana) produces showy, fragrant flowers in May. It can reach a height of 20 feet and is also good as a windbreak.